Should trading Dwight Howard to the Thunder be considered? I wonder if Oklahoma City Thunder GM, Sam Presti, has given serious thought to acquiring Orlando Magic big man, Dwight Howard – in exchange for James Harden, Kendrick Perkins, and Serge Ibaka. Think about it. The combined salaries of these Thunder players through 2015 is estimated to be $49 million, with approximately $27 million of that amount going to Perkins and respective amounts of, say, $16.5 million and $5.4 million to Harden and Ibaka. For me, it looks like a doable trade if OKC can get a commitment from Howard beyond the coming season and meet his asking price, which I would say is near $125 million over 5 years. I don’t think the rumored scenario that involves Harden and Ibaka alone is enough of an enticement for Orlando’s front office. If I were Rob Hennigan, Orlando’s newly appointed general manager, I would ask for Harden, Perkins, and Ibaka and also offer to help with Howard’s new contract to the tune of $8 − $10 million. Such a trade would strengthen both teams. 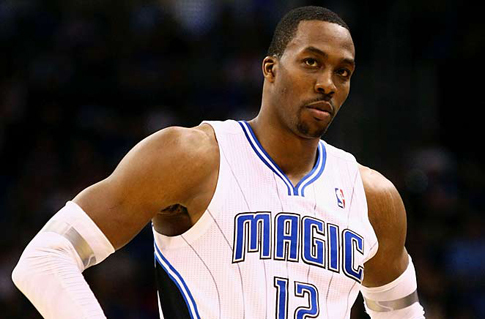 The Orlando Magic would become a competitive team; 300% better than they were (and trading Dwight Howard would bring a breath of fresh air to Amway Center) and Oklahoma City would then become the favorite to win the 2013 NBA title.